Robert Louis Stevenson including, of course, Treasure Island, Kidnapped, Dr. Jekyl and Mr. Hyde, The Black Arrow, etc. someone has compiled a list of pirate stories and books available as e-books. collections of fairy tales from around the world. Some of John Buchan's best including The Thirty-Nine Steps, Mr Standfast, Greenmantle and Huntingtower. just about everything written by H.G. Wells including The War of the Worlds, The Time Machine and The Invisible Man. all of Arthur Conan Doyle's Sherlock Holmes novels and stories [except most of the stories from The Casebook of Sherlock Holmes that are still under copyright]. 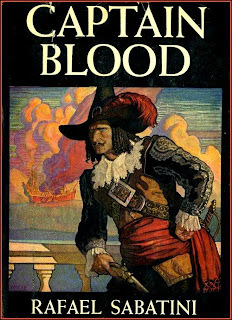 books by Rafael Sabatini including Captain Blood, Scaramouche and The Sea Hawk. ...and more and more. There is non-fiction, too. And it is all free. This is a wonderful time to be a reader.